Nirvana unintentionally tore the music world asunder in 1991 with "Smells like Teen Spirit." At the time, MTV and the pop charts were dominated by vapid hair metal acts and Michael Jackson. 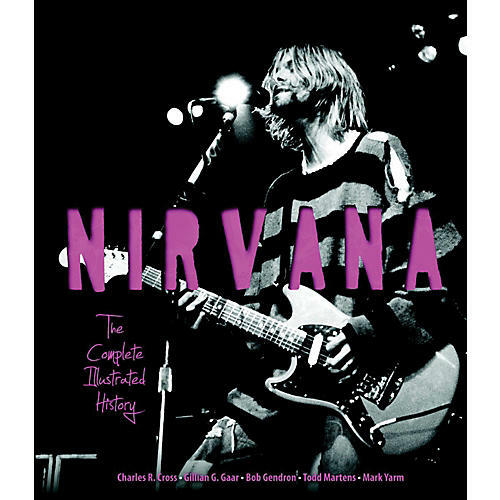 Nirvana represented a much-needed return to punk-inspired rock. Two and half years after the release of "Teen Spirit," leader Kurt Cobain, age 27, killed himself and the ride was over. But for fans, the music - and the spirit - lives on. Here is the first-ever complete illustrated history of the band. Performance and off-stage photography, handbills, singles, tickets, gig posters, and other memorabilia complement a narrative detailing the band's tumultuous history, as well as album reviews, a gear breakdown, and more. The text is written by noted writers Charles R. Cross, Gillian G. Gaar, Bob Gendron, Todd Martens, Mark Yarm, Jim DeRogatis, Alan di Perna, Greg Kot, and Andrew Earles with stellar photography by Charles Peterson, Kevin Estrada, Jay Blakesberg, Ed Sirrs, Ian Tilton, and Steve Double.